I’d like to say it is my role as a mother to a toddler that’s turned me into the grilled cheese guru I am today. However, this is not the case. I’ve always loved a classic grilled cheese sandwich, with just the right amount of crispiness and the perfect brown crust. I’ll make a grilled cheese with almost any kind of bread, but absolutely nothing beats the buttery flavor of brioche. 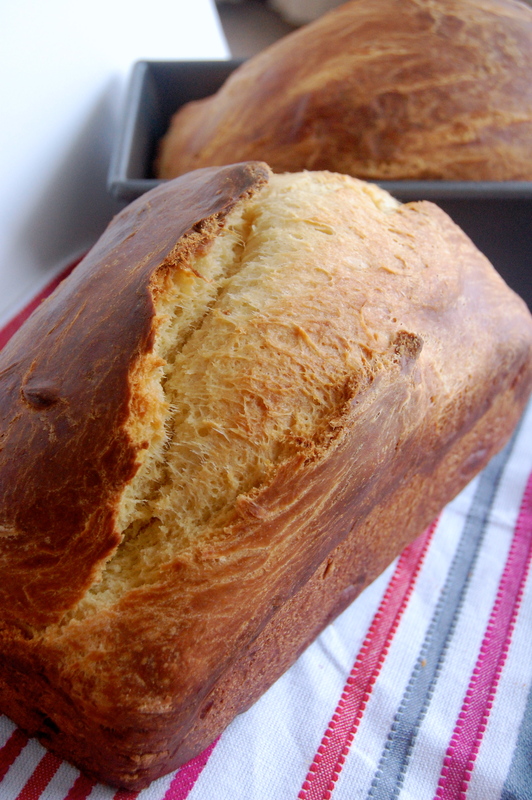 I have a hard time finding brioche in the store which has led me to the quest to make my own brioche loaves. The process takes awhile, so don’t expect to eat your bread the same day you make your dough. But hold onto your horses, because the bread is well worth the wait. Pair it with a little aged sharp cheddar cheese, grill it on the stovetop and you’ve got yourself the perfect simple sandwich. 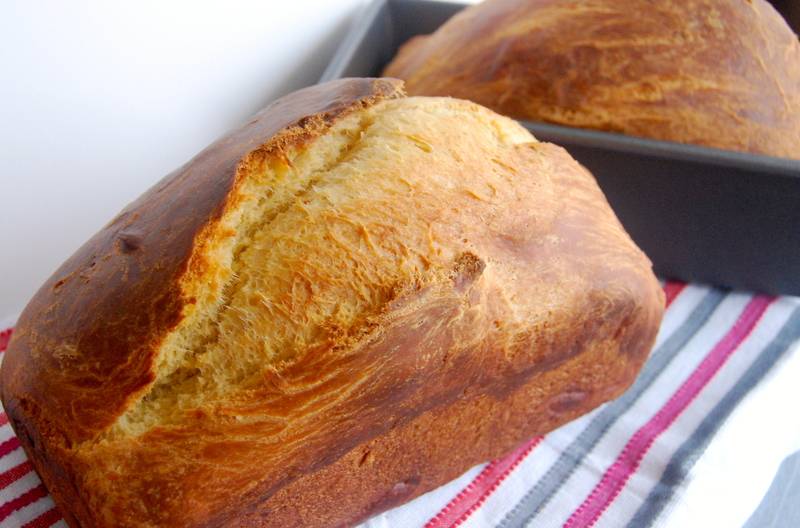 It makes great sandwich bread for pulled pork, it is the perfect canvas for french toast or a great filling for bread pudding. In a small bowl, add yeast, sugar and water. Mix until dissolved. Allow to sit for 5 minutes or until bubbles form and mixture appears foamy. Add mixture to large mixing bowl. Add eggs to bowl, with a paddle attachment, mix on medium speed for three minutes. Decrease speed to low. Add salt and mix. 1/2 cup at a time, add flour. Stop mixer as needed to scrape bowl and remove dough from paddle. Mix until combined. Continuing at low speed, add the softened butter (make sure it is very soft) one quarter stick at a time. The butter will blend in with the dough, creating a smoother texture. Continue to mix, scraping the batter out of the attachment when necessary. When the dough is combined and formed, transfer to a floured bowl, place in a warm place with a clean towel over the top and allow to rise to about double the size, 3-4 hours. Remove from bowl and knead of floured surface for 1-2 minutes and transfer to greased bowl. Cover with plastic wrap and refrigerate overnight. Remove dough from refrigerator and split in half. Place each half of the dough in two greased bread pans. Cover with warm towel and allow to rise again, to about double the size for 3-5 hours. When dough has risen near the top of the bread pan, preheat oven to 375 degrees. Bake for 45 minutes until crust is golden brown and springs back to the touch. Place loaves on wire rack to cool.